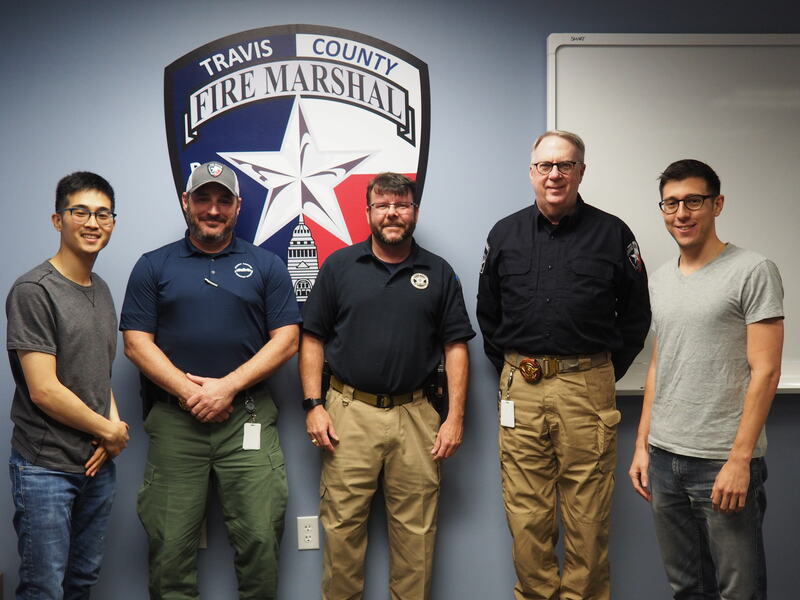 The Similarity and Cognition Lab at UT Austin, under the guidance of Dr. Art Markman, takes a multi-disciplinary approach to understanding team dynamics and decision-making processes in teams and organizations. 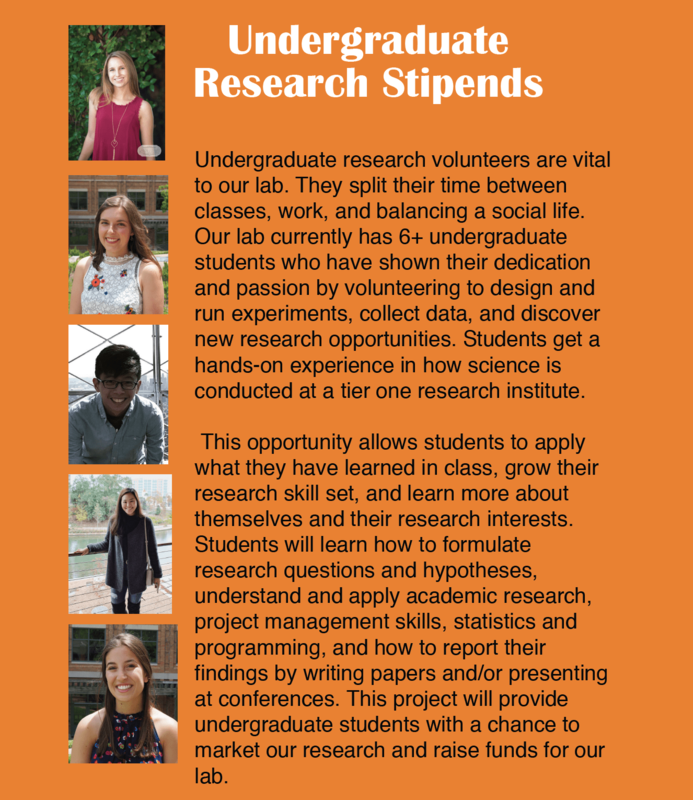 We are working to build a lab environment that gives undergraduate students research opportunities in STEM and teaches students to connect our research to the working world around them. 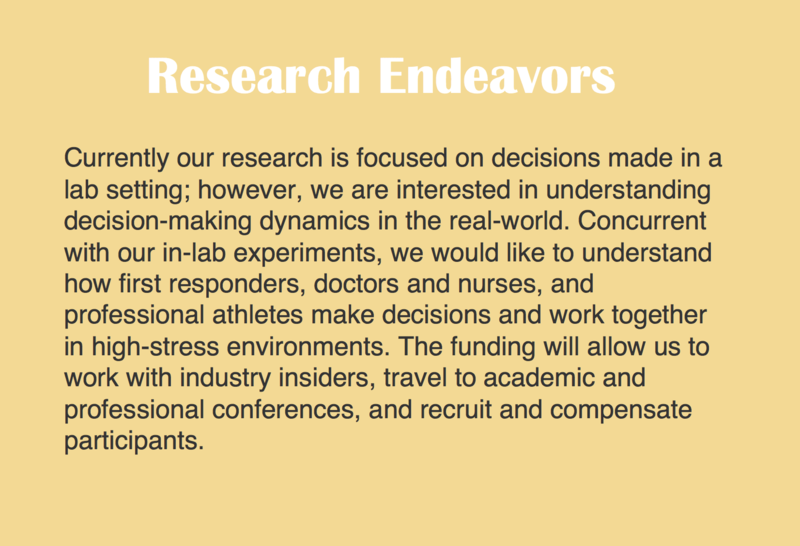 This summer we are seeking funding to take our fun, creative approach to working with women entrepreneurs, emergency management personnel, the National Science Foundation I-Corps program and creative professionals to bring our passion for research to help solve the complex issues they face. 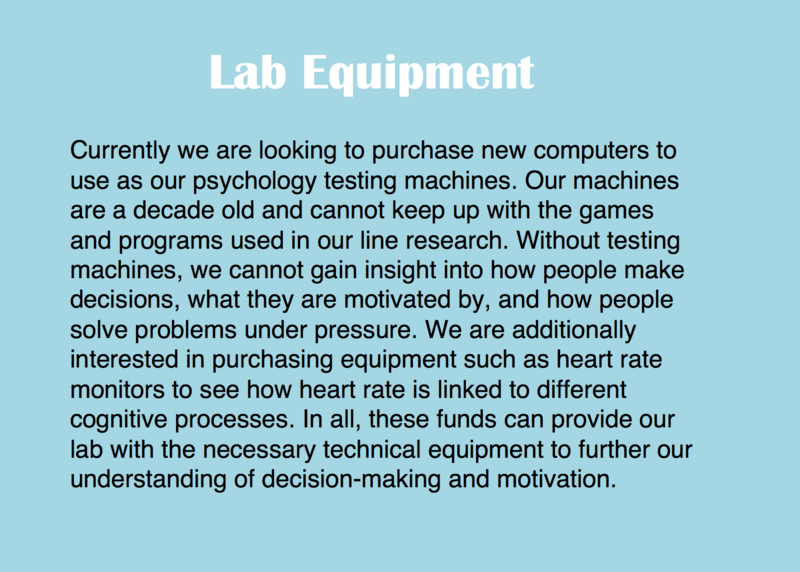 Your support is invaluable to our research and our lab. Thank you in advance for your generosity! Your gift could support the cost of running five participants in a study! Your gift could support the cost of running ten participants in a study!